Hi Loves. Today's post is a bit off schedule, but I couldn't wait to show you! I ordered the Purple XL Squishy Stamper and Purple Rectangular Squishy Stamper from Messy Mansion and they came in earlier this week. Since I managed to get the boys in bed early, I decided to do a video review. :) It ended up a little longer than I prefer, but I really wanted to show you the size and quality in addition to how they stamp. I hope you enjoyed my review. As always, I'll be happy to answer any questions in the comments. Great video. What is the tool in the background that you use to clean the plates? Sally's! How easy is that! Thank you so much. I really enjoy your work and learn so much from you. Fantastic video! 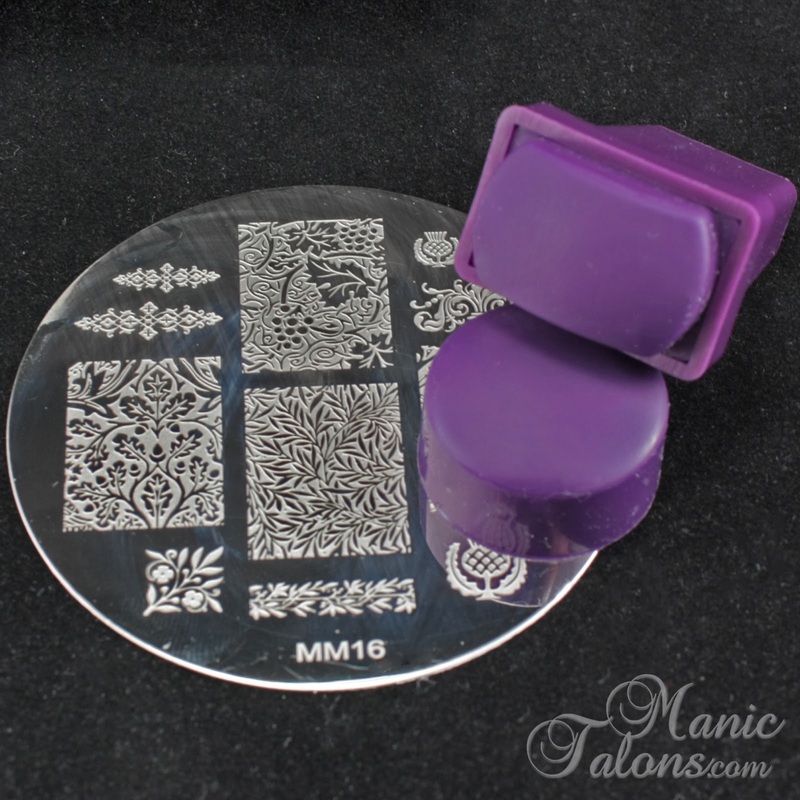 I have never prepped a stamper before using it, maybe I should try that! Got my Mani Saver Cotton Claw. Sooooooo much snazzier than my cotton ball held by a clothes-pin type bag clip. Thanks again! Thanks for the review. I am always on the lookout for a good stamper. Their shipping prices are way 2 high on two stampers was like $17.00. Not me! Thanks for the review. I just bought the "Cotton Claw" and it's amazing. Oh and I also LOOOVE Boston Terriers I have a female, her name is Sophia.